Wheel Alignment from $45! 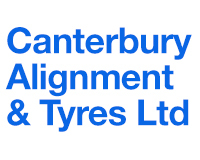 At Canterbury Alignment & Tyres Ltd we specialise in tyres, wheel alignments and chassis straightening for all types of cars. With over 20 years experience we provide expert, professional, prompt and trusted service. We are owner operated and can provide your entire tyre and wheel needs, so contact our friendly team today for more information. We are located at 151 Wordsworth Street Sydenham Christchurch we have been established for over 20 years to provide wheel alignments, chassis straightening, and tyre services for all types of cars.